Need help? Get a forecast by email. 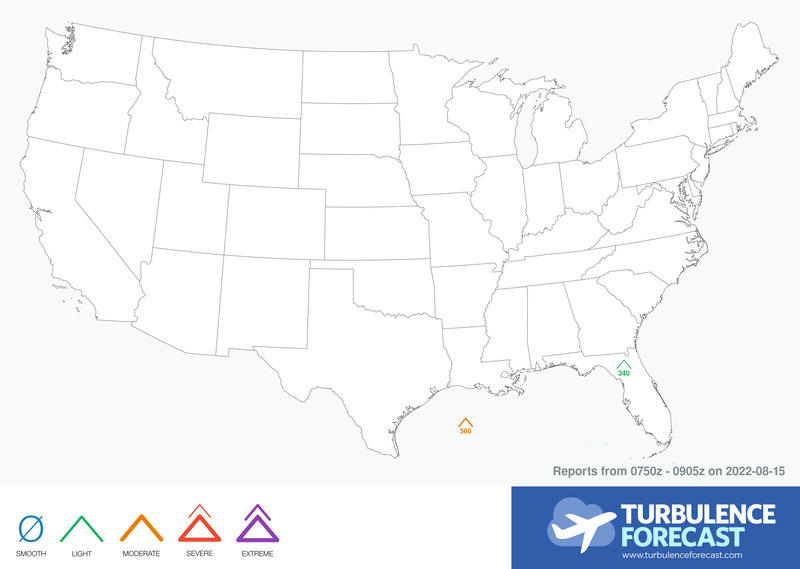 This map shows where actual turbulence has been encountered in the past couple of hours in the US. Blue circles mean that the flight was smooth in that area. See the key on the bottom of the map. Add 00 to the altitudes to convert to feet. Typical cruising altitude is 35,000 ft (or flight level 350).